Helen Noone was reported missing yesterday by family. Merrimac Police, Fire, State Police, and Salisbury Police with its K-9 unit all responded and conducted a thorough search of the areas that she was known to walk, including Winter, Church, East Main, West Main, and Emery streets and around the Donahue School. The Northeastern Massachusetts Police Law Enforcement Council also responded with additional K-9 units and specialized vehicles to aid in the search. 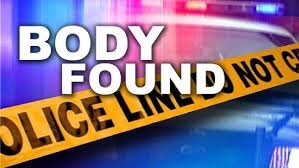 Mrs. Noone was found in a stream bed off Mill and Broad streets at 12:18 a.m. Monday morning by the Salisbury K-9 and was pronounced dead on scene. While foul play is not immediately suspected, the death is under investigation by the Merrimac Police Department and the Essex County District Attorney’s Office. Additional media inquiries should be directed to the District Attorney.